International Criminal Law and Deterrence – A Pointless Endeavour? Can the prospect of ending up in a courtroom really deter perpetrators of atrocities in conflicts? Deterrence is a very complicated concept and its effectiveness is debated even in national criminal law. The principle of deterrence rests on the assumption that perpetrators follow a rational calculus when deciding to commit crimes. For this very reason there are serious doubts whether the threat of punishment can really deter someone from committing a crime, particularly as perpetrators of serious crimes often commit them under the influence of drugs or while being emotionally unstable. Critics have a wealth of cases to pick from when trying to prove that deterrence in the international context does not work in practice. 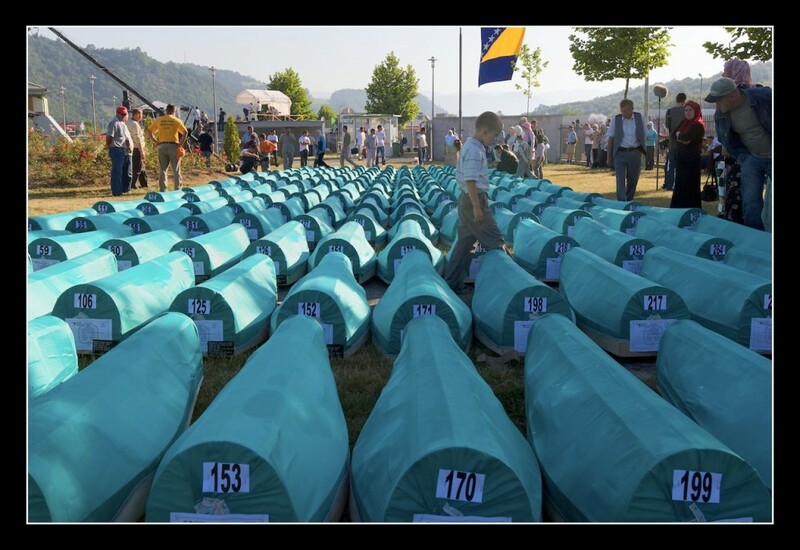 The Srebrenica Massacre happened when Ratko Mladić and Radovan Karadžić, two of the main perpetrators, had already been indicted by the International Criminal Tribunal for the former Yugoslavia. Bosco Ntaganda has continued committing crimes in the DRC after being indicted by the ICC, and in Sudan reports of human rights violations in the new conflict zones in Abiyei, Blue Nile and Southern Kordofan are a steady trickle despite the ICC warrant issued for President Omar al-Bashir. One of the ICC suspects in Sudan, Ahmed Haroun, the now-governor of Southern Kordofan, has even been personally implicated in these crimes. Authors have pointed out that the reason for this deterrence failure may be that those who commit atrocities are high risk personalities or simply evil, willing to accept even death as a possible sanction to their actions. Additionally, rebels involved in conflicts just have more immediate worries of survival while they are fighting in the bush and may thus disregard possible sanctions for war crimes. Still, there are voices in the debate trying to explain the bad track record brought forward by critics while upholding deterrence claims. Some say that deterrence may not have worked in the context of the former Yugoslavia because the ICTY had not enough time to establish itself, others say that ethnic hate speech just overrode the deterrent effect. Juan Méndez, Special Advisor to the ICC presented graphs with mortality figures for ICC situation countries at the Rome Statute Review Conference that also seemed to point towards a deterrent effect of the investigations. Especially in the cases of Uganda and Darfur, mortality figures slumped sharply after the Court had taken up its work. The figures have to be taken with a grain of salt though. In the case of Darfur, the Government of Sudan and its allied Janjaweed militias had stopped the approach of attacking villages of the Fur, Masalit and Zaghawa tribes at the point when the ICC had started its work. The situation had developed to one of low-intensity conflict and banditry in which the Government of Sudan allegedly started to target ‘African’ tribes in Darfur through hampering humanitarian aid to displaced persons. In the case of Uganda, the graph shows only the numbers of deaths in Uganda. Since the Lord’s Resistance Army moved from Uganda to the DRC, the Central African Republic and Southern Sudan some time after the warrants were issued, casualties largely occurred in the neighbouring countries. So, what do these facts tell us about the potential deterrent effect of international trials in conflict situations? There are arguments supporting both sides of the debate. The truth is, at least in the case of the ICC, it is probably too early to tell. The effectiveness of deterring particular conflict actors depends on the strength of overall deterrence, meaning on the number of people that have so far been effectively indicted, arrested and sentenced. 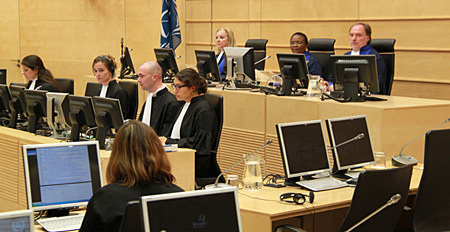 Since the ICC is just about to finish its first trial, we would not yet expect to see the full results of deterrence. The deterrent effect of criminal justice might be systematically underrated as long as overall deterrence does not kick in. As mentioned, deterrence relies on at least a bounded rationality of potential perpetrators in order to work. While the commanders of the parties involved in a conflict are arguably taking rational and goal oriented decisions to organise the large scale of atrocities, followers can be intoxicated or motivated by blind hatred or hedonistic urges when committing crimes. In other cases, they might be fighting for bare life and thus not react to deterrence. Since the rank and file is prone to act irrationally, deterring them might be more difficult. These are some of the difficult questions we have to take into consideration when evaluating the claims surrounding deterrence in international criminal law. This entry was posted in Darfur, Deterrence, International Criminal Court (ICC), Southern Sudan, Sudan, Uganda. Bookmark the permalink.